I've tried many eye creams and gels before, but I've never experienced an eye serum like this one. 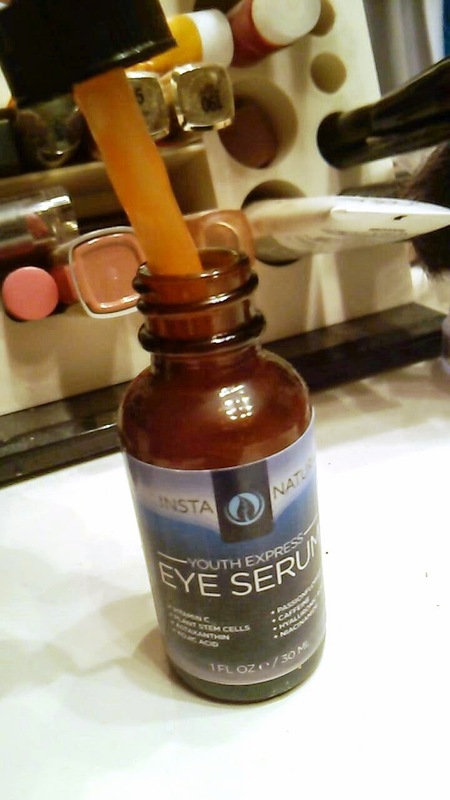 InstaNatural's Youth Express Eye Serum is a concentrated peptide complex blend that includes plant stem cells, Matrixyl 3000, caffeine, passionflower, kojic acid, hyaluronic acid, and vitamins C and E. It is meant to reduce wrinkles, lines, puffiness, and dark circles. This serum is a blood-orange shade, which I definitely didn't expect, and smells citrusy. It was interesting to put this on under my eyes and then follow with a moisturizer like the directions state. I used a basic eye cream after the serum absorbed. Initially I did see a slight orange tint under my eyes, but by morning it was gone. The serum felt nice and seemed to brighten the eye area even though my dark circles didn't totally disappear. It also felt like my puffiness was reduced. Overall it helped my eye area look better. It's definitely interesting to use a serum instead of a cream, but I feel like with all the ingredients included in this serum, it is effective without the creaminess. I only use it at night and would probably recommend that even though it says you can use under makeup, simply because of the possible orange tint. 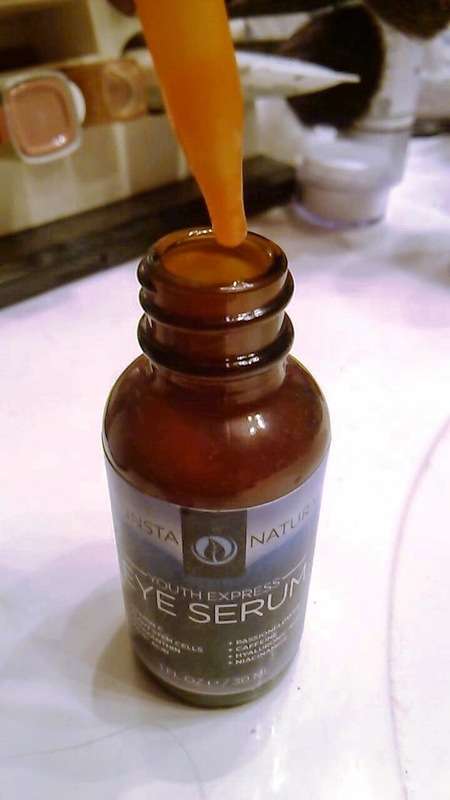 Overall, I think this serum is very unique and brightens the eye area while reducing puffiness.